Microwave cooking may be quick and easy – but are microwaves safe for your food? Are microwaves bad for your health? Almost every American home has a microwave oven. The convenience they offer is undeniable. But despite the widespread use of microwave ovens and their excellent safety record, some people have lingering doubts that cooking food with microwaves somehow makes food less healthy by zapping the nutrients out of food. Does cooking with microwaves do that? 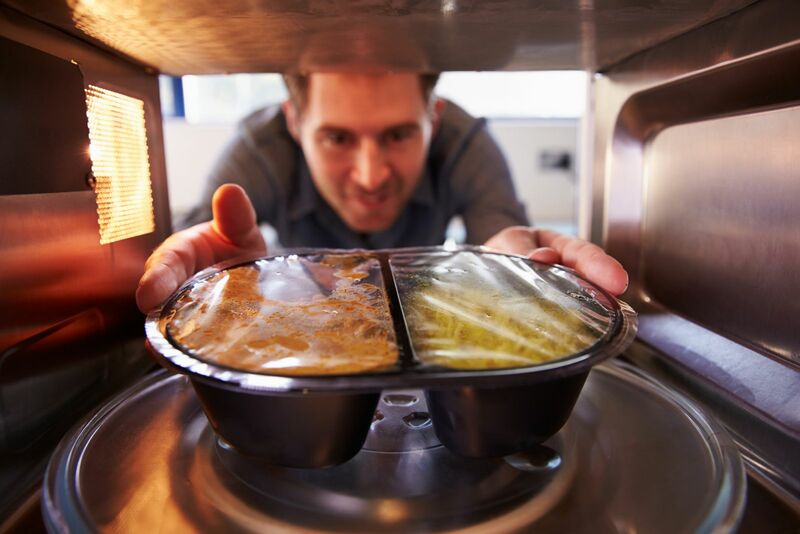 Is microwave food healthy? Understanding how microwave ovens work can help clarify the answer to these common questions. Microwave ovens cook food using waves of energy that are similar to radio waves but shorter. These waves are remarkably selective, primarily affecting water and other molecules that are electrically asymmetrical — one end positively charged and the other negatively charged. Microwaves cause these molecules to vibrate and quickly build up thermal (heat) energy. Are microwaves safe for cooking your food? The cooking method that best retains nutrients is one that cooks quickly, heats food for the shortest amount of time, and uses as little liquid as possible. Microwaving meets those criteria. Using the microwave with a small amount of water essentially steams food from the inside out. That keeps in more vitamins and minerals than almost any other cooking method and shows microwave food can indeed be healthy. But let's not get too lost in the details. Vegetables, pretty much any way you prepare them, are good for you, and most of us don't eat enough of them. And is the microwave oven good or bad? The microwave is a marvel of engineering, a miracle of convenience — and sometimes nutritionally advantageous to boot. Find out more about safe microwave cooking. See "Microwaving food in plastic: Dangerous or not?"